When I bought the oysters at the supermarket yesterday, I didn’t know how I was going to cook with them. After looking through my refrigerator and pantry, I came up with a new recipe. They turned out quite yummy, and my husband loved them. The only thing I like to warn everyone is that the liquid inside the oysters may burst out, that may create a little mess or give you a little burn when you pan fry them in oil. Make sure you don’t turn up the heat too high. Fill a small pot about 3/4 full of water. Bring to a boil. Add oysters and boil for 2- 3 minutes over medium high heat. Drain well. Let oysters dry for half an hour. For the coating, mix flour, corn starch, salt and pepper in a mixing bowl. 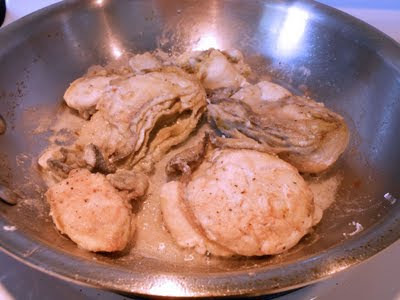 Place oysters into the flour mixture and form a coating. Heat 4 tablespoons of oil in a frying pan over medium low heat. Drop oysters into the oil one at a time. Pan fry until both sides are brown. Remove from heat. Set oysters aside. Discard excess oil. 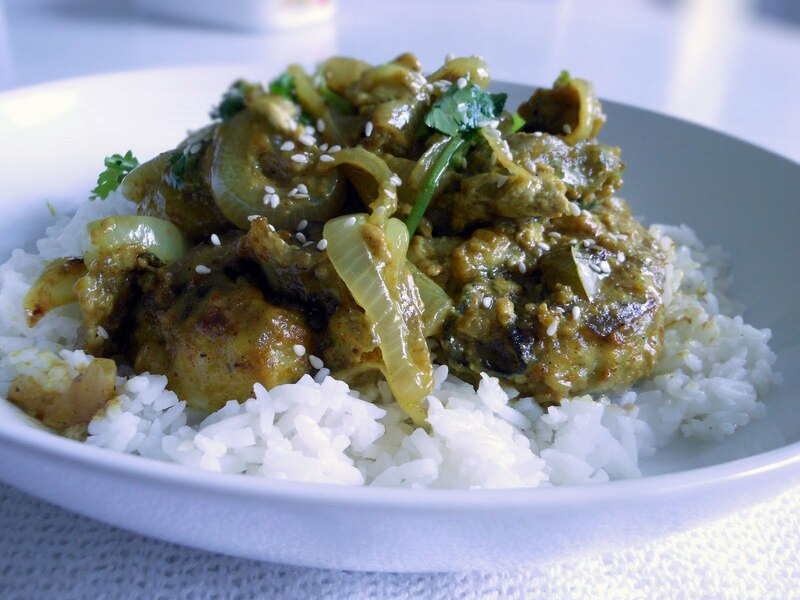 Mix corn starch with coconut cream, curry powder, chicken broth and sugar until smooth. Salt and pepper if desired. Heat 1 tablespoon of oil over medium heat in a frying pan. 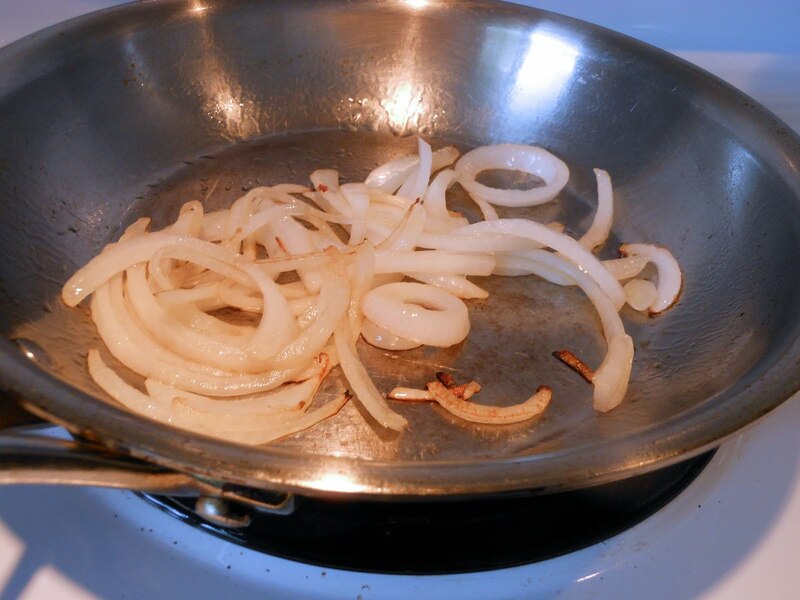 Sauté sliced onion for about one minute. Add corn starch mixture to onion and stir slightly. Add oysters and stir gently for 30 seconds to 1 minute depending on your preference. Garnish with cilantro and sesame seeds on top.